A Proposal: A Formal Anti-Islam Discussion Forum — 1389 Blog - Counterjihad! 2) suggestions for optimizing our ongoing current counterjihad activities given problems inherent to #1 (“what can we do”). Does an actual Counter-Jihad or Anti-Islam Discussion Forum exist? I mean, a place devoted exclusively to discussion and debate about the problem of Islam and related problems? Comments on existing sites and blogs are all well and good, but so far from what I’ve seen on various blogs and sites, they aren’t a substitute for a proper Discussion Forum where all of us who are concerned about the problem of Islam can regularly get together to have extended discussions and debates, as well as share information. 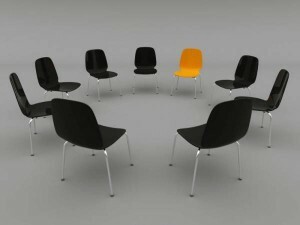 A discussion forum is a special, unique entity. It should not be casually improvised in the comments field of someone else’s blog (particularly when any given blogger — as Little Rebel’s article noted — may tend to exercise arbitrary powers of censorship on any given discussion and thereby cast a chill on the freedom of speech necessary for a robust debate). I.e., the Counter-Jihad Movement (or the A.I.M. as I prefer to call it — the Anti-Islam Movement) needs to have its own central Discussion Forum, devoted exclusively to… discussion. And the forum needs to be definitive, single and central: One place that everybody concerned knows about, and where they go whenever they want to hash out some issue or share some information, or both. There are plenty of blogs out there that can provide the other important activities of education, collation of disparate data and under-reported news, and networking amongst bloggers. But discussion itself is, and has been, an under-nourished yet vital part of the process. For this to work properly, the Discussion Forum has to be the main one, where everybody goes to spend some time discussing various issues. d) or, finally, they are limited by the diverse nature of the existence of many different blogs with their own mini-communities, tending to counteract a habit I think we should cultivate of (at least once in a while) transcending our mini-communities and getting together in one central location. The Jihad Watchers can still spend most of their time at Jihad Watch; the GOVers at Gates of Vienna; the Gellerians at Atlas Shrugs; etc. — but all I am suggesting is that they spend a little of their time also actively participating in a Common Area designated for discussion that transcends their comfort zones on the Blogosphere. It thus would be nice — and productive — if we had a Grand Central Station of discussion, divided up into sub-categories, where anybody and everybody could go to participate and talk about any given blog, article, news event, historical fact, or personal opinion — all revolving around the problem of Islam. Alternatively, my recent article here on the chat website Paltalk provided a possible location, though some people may be put off by the chat room nature of it, as well as the fact that it has to be downloaded. But if those minor objections could be overcome, Paltalk would be a great location for such a project. SciForums looks very much like britmovieforum, the place I found on first logging into the infonet 6 years ago; for one reason only – to find my beloved British films, long ago banished from telly’s repertoire. Having only ‘awakened’ in January of this year – triggered by the assassination of Salmaan Taseer and al BBC’s pusillanimous treatment of the muslim pimp gang phenomena (young females in my immediate and extended family face regular harrying and/or flyboy blandishments from these charm free and loveless rats), I found the EDL Forum to be useful and highly informative – it got me up to speed very quickly. Learned postings on the Sufi’s, for instance, cracked my assumptions about ‘cultural’ muslims and Sufi mysticism wide open – entertaining as the works of Idres Shah have been for me in the past, Sufi imams are just as likely to advocate jihad as any hateful deobandi or salafist troglodyte. Unfortunately the EDL Forum is down at the mo’, presumably for fumigation. There’s Infidels United, a facebook for anti islamists – though I haven’t joined, being a reluctant and resentful fogey when it comes to social networking. Business and family life prevent me from more activity in the blogosphere, never mind the setting up of an anti islamist forum. Do you have the time Hesp? Those are interesting possibilities. All of them have both advantages and drawbacks. I don’t see any entirely satisfactory answer at this time. We can’t do open comments on 1389 Blog, because that’s impossible on a pro-Serb blog unless someone can watch the comments all day long, which we don’t have the resources to do. Hosting a separate forum using our domain and server space would use up our server space too fast, and we do not have the resources to pay for unlimited server space. CzechRebel and I do not want to solicit contributions or run paid ads at this time, because that would leave us beholden to people who might not always agree with us. We do not want the blog to be evicted from its server because someone objected to whatever was posted on the forum. Moreover, running a forum requires an additional amount of work, and operating the blog is more than enough for us. If you try to run a genuinely anti-Islam forum on any “free” forum-hosting site, it will likely be shut down before too long. At best, it is likely to be plagued by trolls, plants, and security leaks. I have never been on Facebook, and have no plans ever to go on it, simply because – here again – there are too many security risks. Besides which, I’m already spending enough time on this blog, as well as on Blogmocracy and other blogs. I occasionally have visited conservative chat rooms, but I’m not a “real time” person. Though I’m a fast typist, I like to have some time to think before I write, especially if it’s on a serious topic. I also like to have the conversation thread remain online for future reference, which a chat room doesn’t do. The EDL forum is for the purposes of helping the EDL do its work. I support the EDL wholeheartedly, but I am not in the UK and I am not part of the EDL. I would hesitate to ask the EDL to spend their resources on hosting a worldwide counterjihad forum, when their focus should be on England. You could always go over to Blogmocracy, where registration is open and guest bloggers are welcome. 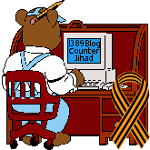 That said, Blogmocracy is a general-purpose conservative blog/forum, not a counterjihad forum. Blogmocracy does run a considerable number of counterjihad threads. It would be their call whether they want to run a separate ongoing section or forum track for counterjihad material. To make that happen, it would require some reprogramming, and possibly a lot more server resources. Be advised that I am just a contributor there, NOT an admin, and the admins there will occasionally shut off or delete a thread for various reasons. Yes 1389, a forum would require full time commitment. My time is dedicated to continuing and protecting my line and finding the best way to alert anyone who will listen to the mortal peril we face from PC MC’s ludicrous protection of the active evil of islam and the free pass granted to it? A forum would need round the clock patrols. Who amongst the anti islam movement is free enough of day to day bread and butter obligations to do this? Alternatively, my recent article here on the chat website Paltalk provided a possible location, though some people may be put off by the chat room nature of it, as well as the fact that it has to be downloaded. I’m not familiar with PalTalk at all, are all the discussions there (even the audio ones) archived and readily available? What is essential in my opinion in any case is to have the ability to provide direct links to past discussions, which have to be readable by everyone without registration and without any requirements to download and install software. Does Paltalk provide this? We can’t do open comments on 1389 Blog, because that’s impossible on a pro-Serb blog unless someone can watch the comments all day long, which we don’t have the resources to do. Open comments should be a requirement in my opinion – pre-approval of comments stifles a debate by causing unnecessary delays, and creates suspicion whenever comments fail to show up. I have never been on Facebook, and have no plans ever to go on it, simply because – here again – there are too many security risks. I believe that Facebook’s terms of service require members to provide their real names, something a lot of us in the AIM would not be willing to provide. Besides, Facebook is probably just as PC as other services out there. I agree that open comments are a requirement for a counterjihad forum, though not necessarily for a blog. 1389 Blog is a blog, not a forum. A blog is primarily a place to put up articles. A forum is a hosting site for written conversations about a variety of topics that people feel the need to discuss. As I said, we don’t have the resources (time, energy, money, or anything else) to host a forum. We do want comments on our articles, but we don’t have the resources to monitor the comments 24×7. A pro-Serb blog attracts haters from all over the world. Believe me, you would not want to see some of the stuff that comes in. Some other bloggers, such as Julia Gorin, do not allow any comments whatsoever, and I can certainly understand that. I don’t think I have the time (nor the technical expertise) to actually set up a discussion forum; but I’d have time to help — and, more importantly, to give it a go once it’s set up by jumping into the deep end of discussion and swim around for a while. I suppose I have more “discretionary time” than many people: just now, I got finished spending 3 solid hours hunting down various links for a rebuttal of a PC MC person on that SciForums.com discussion forum. (That’s another issue of mine: if the AIM had a definitive digital Anti-Islam Manual of points and counterpoints about Islam and Islam apologist arguments, I could have punched in “Afghanistan death penalty for apostasy” (the subject of this particular debate I’m having) and in seconds would have all the requisite information which took me three hours to hunt down. Part of the reason it took me so long is that I insist on using mainstream media sources when debating PC MCs, because they will just sneer at Jihad Watch, or any Jewish paper, or FOX news. That’s interesting. See, I’m so computer-illiterate, I didn’t even know that “server space” was a limiting factor (nor, I suspect, could I understand exactly how it is, if someone patiently tried to explain it to me). I understand your other arguments about why you are reluctant to make this blog (or add to it) a discussion forum. Well, perhaps the usual arrival of PC MCs and Muslim apologists would give it the appearance at least of not being entirely anti-Islam. Personally, I would allow PC MCs and Muslim apologists to participate, as long as they don’t do the normally unwanted things (spamming, etc.). True, I hadn’t thought of that angle. The chat room proposal, though, had other advantages which I detailed, even if discussion may not be primary. With a staff of numerous individuals, you could divide the labor. Actually, though I implied “no” in my response to 1389 above, come to think of it, there have been owners of anti-Islam chat rooms there who in my memory claimed they saved all the text typed, and also recorded the audio (however, there was some controversy about whether recording the audio of people’s commentary was a violation of Paltalk’s TOS — not sure about that). But then it would take a lot of work to archive that saved text — and a lot of it is just silly nonsense (as chat rooms are wont to generate). Downloading Paltalk could be a security risk. I don’t know enough to say. I remember having some kind of virus problem once during my years there (I spent, off an on, about 4 or 5 years as a Paltalk member) — but I don’t know for sure if Paltalk was the culprit. I appreciate 1389’s distinction between a blog and a discussion forum. However, my philosophy and policy even on a blog would be to simply allow anything and everything (hence no worry about time allocation), and only delete obvious irrelevant spam or obviously excessively lengthy posts and/or repetitions of posts. Server space is just like disk space on your own computer, except it is on somebody else’s premises, and you rent it from a hosting provider. They have rooms full of disk drives and the processors to go with them. You sign an agreement for how much space you want to rent, and for how long. This server space is where the blog is. When you enter stuff into the blog post editor, or you upload a picture, it goes onto that server space. Same with comments. When you enter a comment, it goes on the server space. Now, whenever anybody else wants to view the blog, they enter the URL in their browser. The request goes out over the Internet to the server site where the blog is. The server site serves up the content and sends it back. You aren’t just paying for space; you’re also paying for bandwidth. That’s the Internet connection speed on the server side. Each time anybody views the blog, that uses bandwidth. Once a blog or forum gets to be more popular, the owner often has to rent space on a server that offers higher bandwidth, so that more people can access it at once. We could go with completely open comments only if we could afford the extra server space and bandwidth, AND if we had enough other people on the team to monitor comments as regular intervals around the clock. I just don’t want to come home from work or wake up in the morning, and find something creepy and grotesque (or, for that matter, illegal) in the comments, or have to deal with a knockdown dragout flame war that has already been escalating wildly out of control for many hours. Thanks 1389, I think I get the concept now. What exactly is the physical thing that is containing the server “space”? A disc, or a motherboard, or what, housed at an actual location somewhere? Or do they still have those giant room-sized computers we used to see in 1960s sci-fi movies for that (I thought I read that Google has those for its servers)? Server “space” is on banks of disk drives. Instead of the old giant room-sized mainframe computer, they now have warehouses full of rack-mounted computers (which are basically motherboards) and rack-mounted disk drives. The rack-mounted computers provide access to the disk drives, just as the motherboard in your own computer provides access to your own disk drive. The difference is that these server devices are all networked, so that someone with the appropriate authorization can go through the network to access any of the drives. Most people who rent server space from a hosting provider get shared server space. That means several other subscribers also rent space on the same set of drives. That’s okay for a smaller blog or website. But as it gets busier, they’ll need to get a dedicated server to handle the need for more bandwidth. Thanks for the explanation, 1389. Conceivably, a private person with the technical know-how and money could build their own server from scratch and own it; right? Forgive me if I’m talking out of my hat on the technicalities of forums, or stating the obvious, but forums all follow similar patterns, have broadly similar layouts and have, more or less the same facilities, so presumably they can be bought or hired off the peg from forums?wegot’em! dot com or the like and be tweaked and prettyfied to an administrators desire? Also, as far as I can tell, threads remain accessible, even when closed, so information and debate remains for all to see as long as the forum stands. Any 20 year old boffins out there who could get this moving? I’m willing to help with the rent! You are correct that it would not be that difficult to find free or low-cost software to use for managing a forum website. You can, indeed, customize the appearance and the set of features. The problem is that choosing software for managing a forum, and finding a place to put the forum to begin with, are two separate issues. There are still some sites that host other people’s forums without charge, and I have used them in the distant past, but not for any matters of importance. The problem is that you do not truly own your forum, and the site can take down your forum, censor it, or even go out of business entirely at any time, very likely causing you to lose both the content and your membership. If you want to set up a forum and maintain control over it so that nobody else will shut it down, then you’ll have to register the domain name and rent server space somewhere. In addition, no matter where you host the forum, someone (usually a team of admins) must keep monitoring and troubleshooting it, without any expectation of payment. I don’t know of ANYBODY who enjoys forum admin work on an ongoing basis. It is, IMO, a truly thankless activity. It’s impossible to keep everybody happy, and those that aren’t happy will let you know about it! You get flame wars among commenters, and blog wars from people who want to pick fights with you or to badmouth you from a safe distance away. It gets old pretty quickly. You have to deal with various technical malfunctions (including outside attacks from botnets and the like), you have to clean up the spam, settle disagreements, coordinate and train volunteers, reset passwords, you name it. The Internet brings out the dregs of humanity: not only trolls, but also criminals, crazies, malcontents, spammers and scammers, and, of course, jihadis. Every website also gets some ordinary clueless dolts who can’t figure out which end is up, and can’t explain what their problem is, other than the fact that they hate YOU, the admin. Coping with this constant onslaught can be a serious temptation to the sin of despair. If you think I’m kidding, rest assured that I am not. I know of at least four counterjihad websites whose admins have pulled the plug and shut them down, simply because they were threatened once too often, or they’re sick of all of the drama. There was a point, back in 2008, when I almost did shut down the blog – not because of drama, but because I didn’t think the blog was making any real difference in the world. I kept it going only because CzechRebel thought it was worth keeping. FaithFreedom.org has a forum. It used to be very active and intelligent in places. It’s a bit thin now but hey, if you join you could improve it. Could use a forum to see what you’re thinking. I’m for knowing every reason you might have, as well a counter discussion. So, where can I find anti-Islam website? I have been a Targeted Individual for 6 years and I got some Muslim gang stalkers and Germans showing up quite often. I have a high encounter rate with Muslims on Fridays even here in Zagreb, Croatia. I saw Muslims in Belgrade in the fortress and one occasion I saw a Muslim woman praying in front of the entrance door to the Dracula Castle in Bran, Romania. I had over 640€ damages when I stayed in Sarajevo. I just want to get in contact with others who are victims of the Islamic terrorism and other aggressive Muslim activities. Stop using your real name online and don’t post pictures of where you are and what you are doing. Hi everyone, I just started an anti-islam forum. Please come along and introduce yourselves. I’m happy to take on suggestions for improving the forum as well. I’ll be around so don’t panic, if you haven’t had your account approved within a few hours. I’m online nearly every day. You guys need to check out a book that I just finished reading. I wasn’t anti-Islam until I read it. I think if more people read it, more will WAKE UP! It’s called “Toxicity” by A. J. Fraser. It is about a (not too distant) future in which Islam takes over the United States. Scary stuff. It’s a fiction, but it reads like reality. Scared the hell out of me. Seriously. Previous post: Canadians: Stand up for free speech in Ottawa July 21 and 28, 2010! Next post: Filthy Halal Food – Since 1999!